In general, I’m not much of a big-meal eater, I prefer appetizers. And there are plenty of them on menus in Greece. 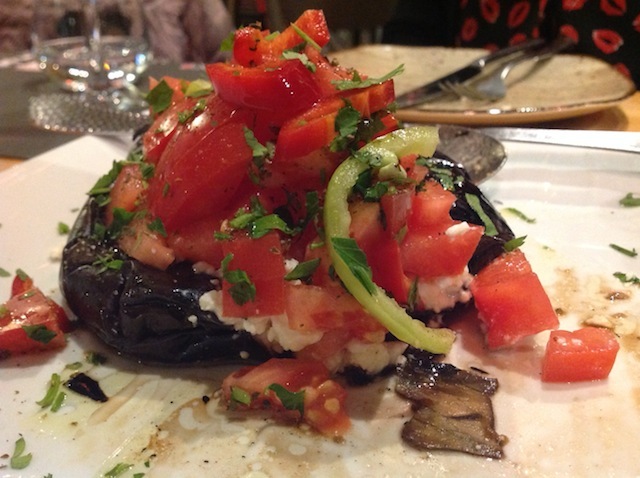 This aubergine (at € 4,50) was filled with feta cheese and tomatoes. 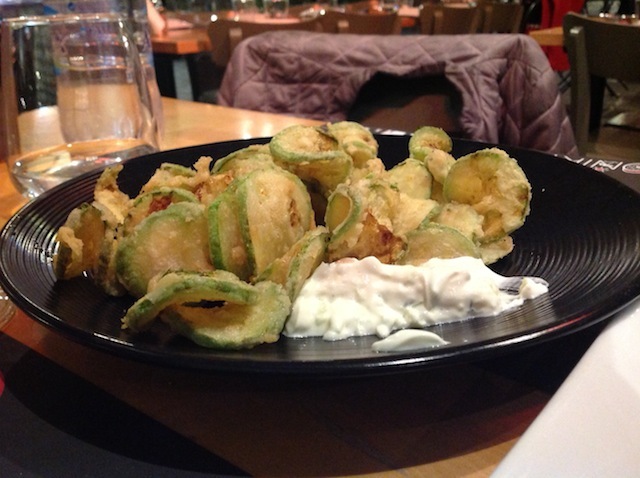 Dipping fried zucchini into tzatziki was a very tasty treat. My travel companion opted for bigger meals. 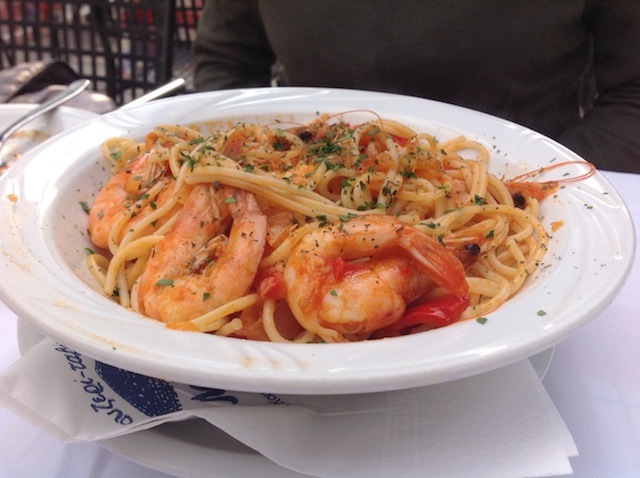 With this one, in authentic Greek style, you had to peel the prawns yourself. 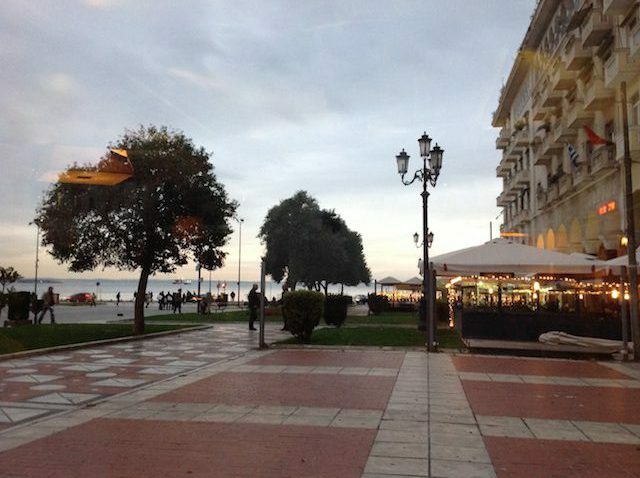 Eating out in Thessaloniki is a real treat: delicious, reasonably priced, and occasionally a feast for the eyes.